The Army and Air National Guard of the United States is a unique reserve force with a state and federal mission. Ready to respond in times of war the Guard also provides critical resources during local and state emergencies. The Guard responds to natural disasters and preserves order during civil unrest. In 37 years in the Air National Guard, both as a traditional Guardsman and later assigned to support National Guard Bureau, I have seen Guard units called up for a variety of disasters. When Guard units are activated for state missions the biggest question marks are what will they be doing and what are their responsibilities? Because they are rapidly responding to an emergency there is little time to prepare the officers and NCOs for the specific tasks they will fulfill. The Guard has a long history of heroic action during these activations. When you talk to Guardsmen who have served in these missions they describe the difficulties of trying to sort out what they can do, who they will operate with, and how they fit into the larger organizational context of unified commands or task forces. I believe the performance of the Guard in state response missions can be improved using the concepts and theories employed in military wargaming. What are Guardsmen trained to do? They are highly trained in a variety of military skills related to their federal Army and Air Force missions. Often times these skills are not needed during a disaster. During disasters or civil unrest the Guard is employed as a disciplined military force that offers personnel and resources that can be adapted for the emergency. Guard units come with a built in organization and command structure that readily lend themselves to support of other emergency responders. Typical Guard training mandays are packed with constant recertification of general and specialized military and technical skills. These training activities are designed to meet the need of maintaining mission readiness. Training time is generally not devoted to state disaster missions. 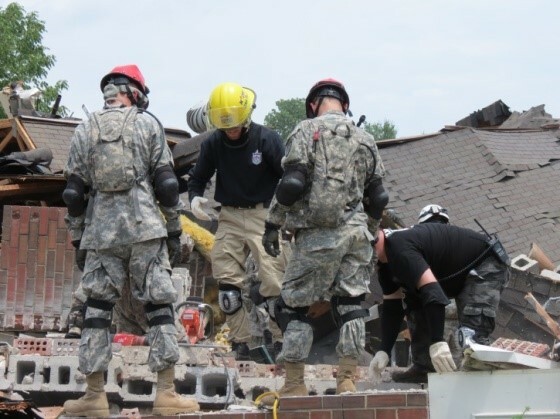 The disaster training that does exist is typically in the form of rehearsing capabilities and skills such as evacuating victims or conducting joint training with local responders. What is lacking is basic training for officers and senior NCOs in disaster operations. How will the disaster forces be organized? Who will Guard units work with and what are their responsibilities? Guard units suddenly mobilized for a disaster are faced with a variety of tasks and organizational relationships that are unique. Instead of relying on creative problem solving and contingency work arounds unit leaders should be aware of the basic guidelines as established by the National Response Plan and the National Incident Management System. Why should wargaming be employed as a training tool for disasters? Isn’t wargaming better suited for simulating armed conflict rather than disaster operations? 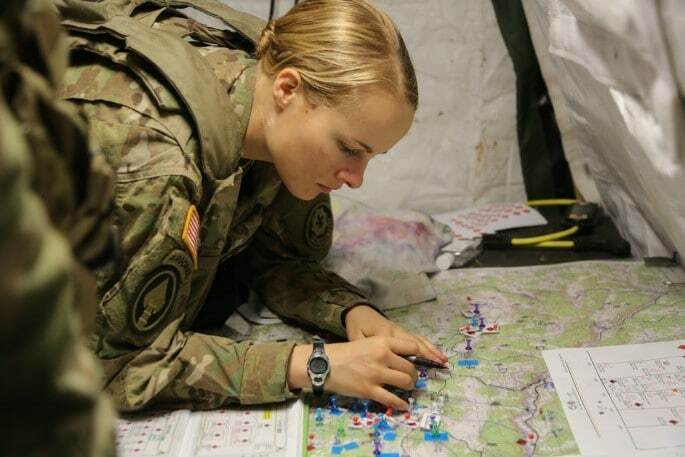 Disaster wargames offer four advantages to the Guard: familiarity, opportunity to develop synthetic experience, flexibility in application, and a cost effective way to rapidly training large numbers of personnel. Military personnel are familiar with the use of wargames. By wargames I am not referring to large scale staged rehearsals involving troop or aircraft movement but desktop training employing maps or other reference documents to frame scenario based decision making. These types of games are employed at a variety of levels and training applications throughout the US military. NCOs and officers are familiar with this type of training. This familiarity cuts the initial engagement process and allows training to transition from introductory briefings directly into game play. Guardsmen involved in a disaster wargame can employ training and doctrine they may infrequently use in their military careers. A wargame provides a risk free environment to learn and make mistakes. By offering an opportunity for simulated disaster decision making Guardsmen can develop synthetic experience. In the 1930s German psychologist Otto Selz and his student Adrian de Groot studied how experts solve problems. They concluded successful problem solvers frame the problem, employ familiar tools to reach a solution, and then test their conclusions. 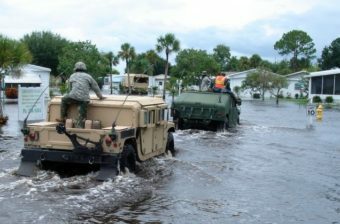 This is difficult for Guard officers and NCOs suddenly mobilized for a disaster. These leaders often have no disaster operations experience of any kind to apply to the challenges at hand. Training that employs wargames provides synthetic experience. In the absence of real experience synthetic experience can provide the critical background knowledge necessary for complex problem solving. They requested assistance from CNA Corporation which is a federally funded research and development center. 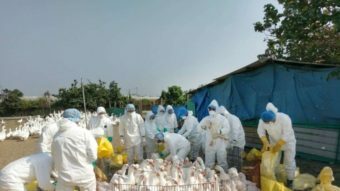 I was hired by CNA to produce a training game for H5N1 response at the state and territory level. 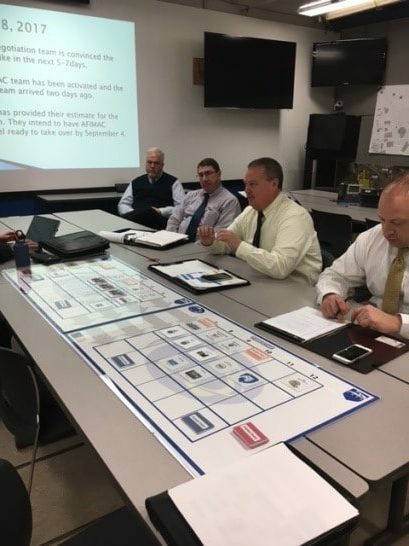 A national training team was developed and copies of the game were used around the country to train state officials to respond to this type of emergency. Every animal health official in the US had a basis of synthetic experience for the avian flu. 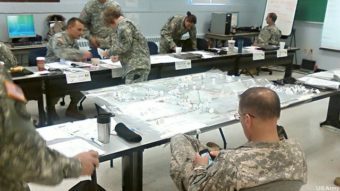 Using an analog wargame system to train for disaster management provides great flexibility. It will not require the startup time and costs of a computer based solution. It supports social learning. A wargame can be easily repeated and modified as necessary. It requires no technology to support it. In many of the disaster management games I have developed the game can be used as a planning tool in a real emergency. Once personnel have trained using the game they are familiar with it. The scenario can be adjusted to match the known contingencies in a real operation. Unit commanders and their NCOs could actually wargame the situation before they hit the ground. An analog/tabletop game system can be used over and over in training. It requires no programs, software, or technology to employ. The more times it is used the lower the unit/per use cost for development. After designing scores of disaster management exercises and wargames it has become evident there are several factors which can enrich the quality of the game and the value of the exercise experience. The game should be based on current disaster or civil unrest operational doctrine. This means the details in the game should match the protocols and procedures the players are expected to use. The game should employ tools that the players are familiar with. Scientific research in cognition suggests that people learn best using realistic tools to train with. In a disaster operations game the Guard players should be given maps and use unit symbols which match typical Guard state deployment packages. The game should include familiar symbols, concepts and procedures. The wargame should emphasize decision making. The purpose of the wargame is to provide an opportunity to make decisions and take action in a simulated disaster operation. Anything else is merely a rehearsal. Some emergency management training programs insist that everyone’s ideas and suggestions have equal validity. This is not the case in the real world where bad decisions can have tragic consequences. The wargame should have consequences for failing to follow the protocols and procedures the players had learned in training. An important factor in successful disaster management is timely decision making and actions. Disaster managers rarely have all day to craft a course of action. The perfect decision ten minutes after the opportunity to employ it has passed is useless. The players should be limited how much time they can take for a decision. The game should emphasize decision making under compressed deadlines. This also adds artificial stress to the game and the players. A wargame on disaster operations should be developed and provided by Guard Bureau to every state. Each state headquarters could sponsor unit commanders and senior NCOs for a one day training course in disaster management. The training should include the doctrine and regulations regarding disaster management along with lessons learned from prior operations. This should be followed up by a wargame where the students could employ their training accompanied by a hot wash discussion regarding the game. 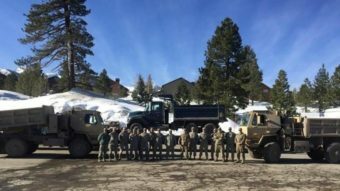 National Guard units deploy for state disaster and civil unrest missions every year. The Guardsmen perform heroically. Often they must use a combination of creative work-arounds and improvised solutions to get the job done. Every unit commander and senior NCO in the Army and Air Guard should be given basic disaster management training. The development of a wargame system that can be used throughout the Guard is a cost effective and simple solution to preparing units for disaster and civil unrest missions. We can develop synthetic experience that can form the basis for success and replace a “figure it out when we get there” approach to disaster operations. Note: Dr. Roger Mason retired from his 37 year military career as a Chief Master Sergeant in the Air National Guard. He began his career as a traditional Guardsmen and retired as an enlisted program manager assigned to the office of the Command Chief of the Air National Guard at the National Guard Bureau.